This is Troop 890’s premiere fundraising activity. By selling high quality 50-lb. bags of fertilizer and organic fertilizers well as lawn and kitchen trash bags, Troop 890 has developed a loyal and generous customer base that looks forward to this sale each year. A Scout’s sales will help pay for part of his dues, campout food, and trips to high-adventure camps. Sales orders are taken January through early February. Then in early March, all the Scouts, Parents and Leaders come together to deliver all ordered products to their customers’ homes. We have the option of participating in fall Popcorn sales but, in recent years, the interest in this has been extremely low. If you are interested in selling popcorn (a Council-sponsored program), contact the Committee Chair to express your interest. This event starts at the beginning of the school year and all sales are due by the 3rd week in October. Scouts can earn prizes for sales awards. Camp Cards are a discount card to all kinds of restaurants and services that can be used throughout the year the card is active. The discounts more than make up the cost of the card and give Scouts an additional opportunity to raise money and hone their sales skills. This Council-sponsored program starts in the spring and usually includes sales awards. 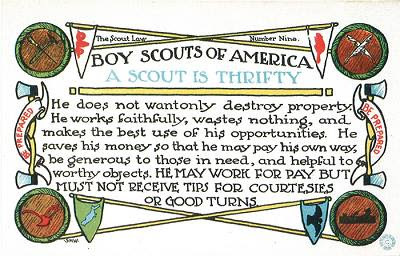 Currently, the cards sell for $10 each and $5 from each card sale goes directly into each Scout’s “account” with the Troop to pay for dues, summer camp, etc. This is an image of a Camp Card from previous years. It will likely be similar for 2019.